It isn’t only our impressive academics that earn national attention — those iconic buildings that greet you as soon as you visit campus turn heads, too. 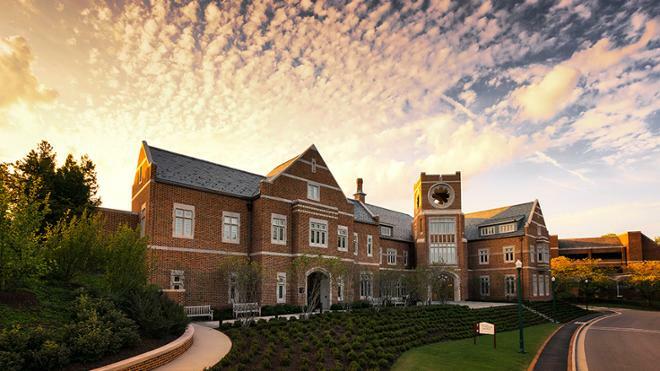 The Brick Industry Association’s preeminent design competition has honored Richmond’s Queally Center, which was completed in 2016 and houses admission, financial aid, and employer development, with a silver award for higher education. The 2018 Brick in Architecture Awards honored 19 winners out of 88 total entries for outstanding designs incorporating clay brick. Any student or alum can tell you that our campus inspires Spider success. And no matter how long it’s been since you’ve visited, we know you recognize that special feeling that persists even as new buildings are constructed and older ones are upgraded. We’re proud others are taking note!